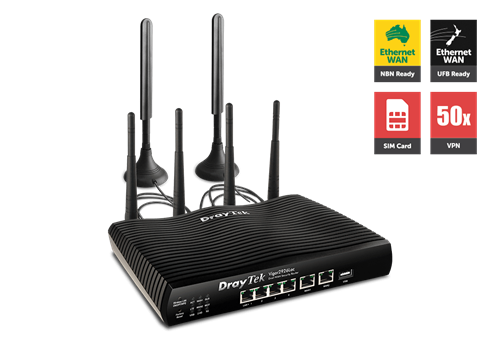 The Vigor 2926 LTE Series is a Dual-WAN Security Router with built-in 3G/4G/LTE modem. There are two Gigabit Ethernet WAN port for all kinds of Internet access, and a SIM card slot which allows adding cellular connectivity by inserting a SIM card. Up to 4 Internet connections can be simultaneously active.